The term substance abuse means an excessive, dependent and indiscriminate use of chemical substances, such as prescription medications, alcohol or illegal drugs. A substance abuse counselor works with clients who are addicted to drugs and/or alcohol. Substance abuse counselors provide group, individual and family counseling as well as work with the client for quitting and preventing drug and alcohol use. Substance abuse counsels also work with clients recovering from an addiction to provide and support throughout their recovery process. If you are interested in becoming a substance abuse counselor, there are a few guidelines you should follow. There are several arenas in which substance abuse counselors can choose to work, such as crisis intervention or with dual diagnosis clients, which are clients who have been diagnosed with a mental health disorder as well as addiction to drugs and alcohol. Substance abuse counselors have a wide range of options in places for employment and can be employed as an impatient or an outpatient counselor in hospitals, substance abuse treatment centers, mental health facilities as well as a private practice. Becoming a successful substance abuse counselor entails assessing your personal reasons for becoming a counselor. 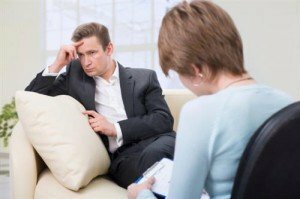 Knowing why you are choosing a career as a drug and alcohol counselor will help you have a better idea of the type of counseling as well as facility you would like to work in. A high school diploma or equivalent. This is required in order for you to attend college for post-secondary education. Bachelor’s degree. Most states require substance abuse counselors earn a minimum of a bachelor’s degree. Students should concentrate on majors such as counseling, mental health, psychology, sociology, social work and education. In addition to the core courses required for your major, it is also important to take elective courses such as health sciences, advanced psychology and substance abuse related courses when possible. The majority of states require a master’s degree in order to be a licensed or certified substance abuse counselor. It is common for counselors to earn a master’s degree in counseling or clinical psychology, with a focus on drug and alcohol counseling or to earn a counseling degree and then earn a certification in drug and alcohol counseling following graduation. There are four different certifications for drug and alcohol counselors, level 1, level 2, master addiction counselor and tobacco addiction specialists. The certification requirements are set forth by the Association of Addiction Professionals and each requires a specific number of clinical hours before you can take the exam. Although the requirements regarding licensure vary among states, almost all states require some type of licensure to work as a substance abuse counselor. Licensure requires 3,000 hours or two years of supervised experience. In order to maintain a state license, drug and alcohol counselors are required to earn 40 hours of continued education every two years. Although working as a Substance Abuse Counselor can be demanding, it can also be very a rewarding career. Consider the proper educational requirements and skills to see if becoming a Substance Abuse Counselor is right for you.